Pack Your Passport, Baby: Leap Pad - my new favorite travel toy! Leap Pad - my new favorite travel toy! 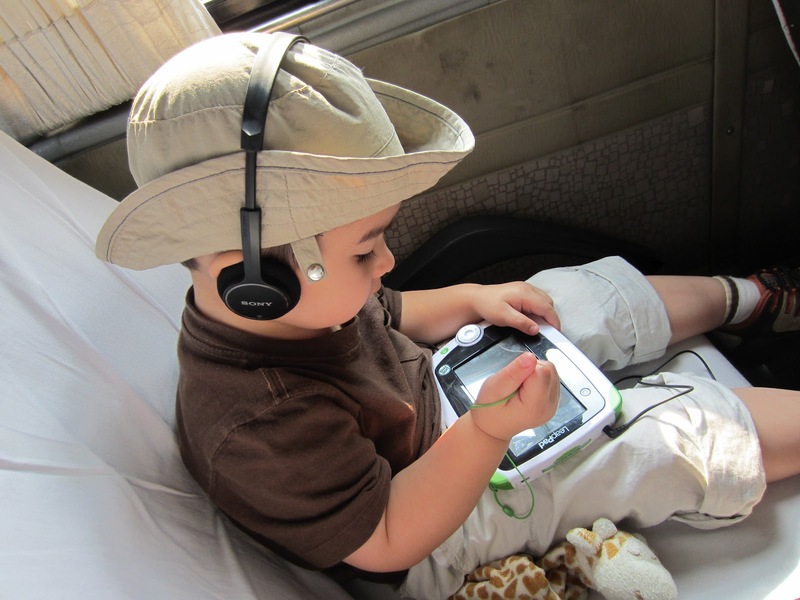 B's LeapPad has proven to be a handy and educational addition to our arsenal of travel toys, books and crafts. The LeapPad is targeted to children primarily from 4 to 9 years of age. At 3, much of the Leap Pad's functionality is still beyond B, however he LOVES the Art Pad and Pet Pad applications. He can easily navigate between applications by himself and it is sure to be a toy that will 'grow' with him. I also purchased the Dora The Explorer game cartridge (about $30 and the game can also be downloaded directly from the LeapPad site). B enjoys the familiar characters and it is exciting for him to learn more about places we talk and read about at home (AND hope to visit some day!). We've been using the original LeapPad, but LeapFrog has recently introduced the LeapPad 2, adding an additional 2G of memory, a faster processor and an additional camera lens on the front of the unit - making it easier for a user to take their own picture. But, for B's use, we've found the original version perfectly suitable. I hummed and hawed a lot about this purchase, concerned a computer device might reduce his love of reading 'real' books and physical play. 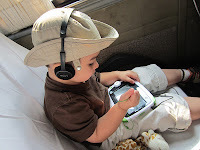 So, we've been careful to have the LeapPad hidden away the majority of the time, and just bring it out for long car rides, for waits at the airport and during flights. So far this has preserved the novelty-factor for B and helps add to his anticipation of the voyage ahead. What are your favorite travel toys?